Fine Tune Pilates is nestled deep in Toronto’s West End, in Roncesvalles Village. It is a community filled with families and hard working entrepreneurs who value a healthy lifestyle. Fine Tune’s M.O. is to create a space for people in the neighbourhood to exercise in a way that supports their unique lifestyle. Fine Tuning your body is about learning how to do something good for yourself. It's about developing a knowledge of how your body moves, and how to feel your finest each and everyday. We love to cater sessions to your specific lifestyle needs. If you are a contractor and have used and abused your body over the years, your sessions may be about increasing mobility so you can manage pain at work. If you’re two months post-partum, you may feel lost when getting back into exercise, and feel like your body doesn’t quite feel the same as it did a year ago. We want to teach hard working people how to move better every day and support new moms in rebuilding their core, so you look and feel strong. By catering to the individual, rather than a cookie-cutter goal, the changes you’ll feel in your body are life-long. Our most popular way to feel your finest. In this 60min session get the benefit of working one-on-one with an experienced instructor who will cater the session to your specific goals and body needs. There is no cheating when you work solo with an instructor watching your every move. Get ready to strengthen, align, and balance your way to a better bod. In this 60min session bring a friend, spouse, or family member, and make a commitment to getting stronger together! Fine Tune Pilates takes pride in its people. Our instructors have a vast array of skills and experiences, but our common threads lie in knowledge, professionalism, compassion and a commitment to practice. We nurture a wholistic approach to being well and are committed to supporting you in Feeling Your Finest! 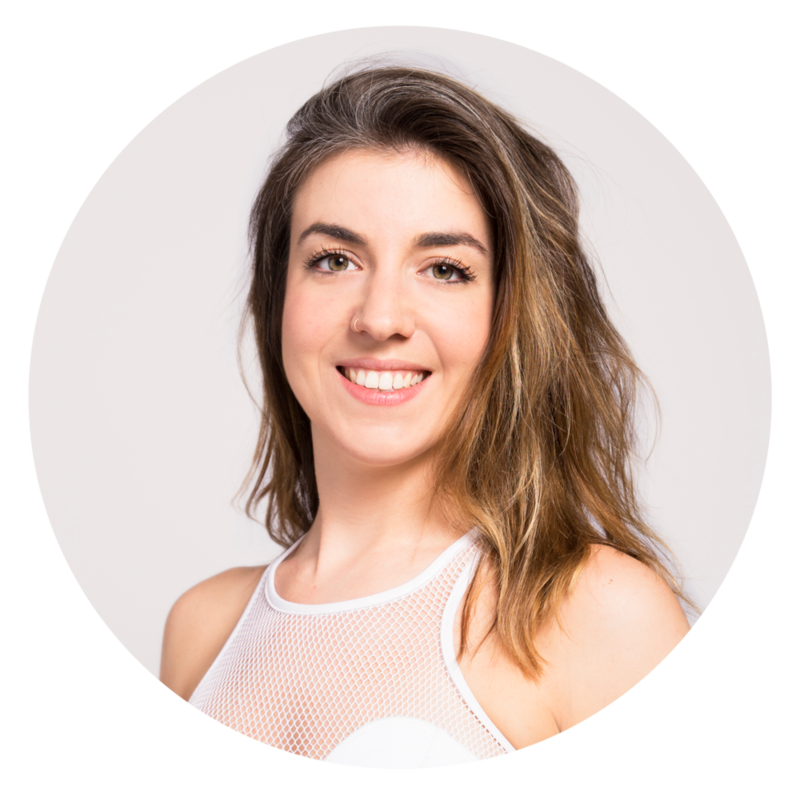 Prior to opening her own studio, she trained and taught at Body Harmonics for several years, studying courses in rehab Pilates, Pre/Post-natal Fitness, Exercise for Seniors, and Pilates for Men, to name a few. She made movement her whole life, and wanted to learn all there was to know about Pilates. Brittany now aims to share this knowledge with the community of Roncesvalles. She believes that when we choose exercise that better aligns the body, and strengthens the muscles that help us move throughout our day, we look balanced, and feel our finest. I had never really connected, or committed, to any fitness routine the way I did to Pilates. About 7 years ago I started taking a Pilates class a week, and loved the way it made me look and feel. After every class I felt stronger, more connected to my body and healthy. I saw differences in my body right away, just from taking one class a week! After about a month of being a student, I knew I wanted to pursue Pilates as a career. I took my certification through Body Harmonics in 2011, and continue to grow my knowledge of movement each year. I still love teaching people how good they can feel in their bodies, and giving them that same feeling I first experienced. I love to teach challenging classes, that make you think, and maybe even make you shake! Get ready to learn something new about your body, and be fine tuned. Catch Lee in studio on Wednesdays, Fridays and Saturdays. I am a Pilates and meditation teacher who was able to overcome injury, and connect to myself as a result. I came to Pilates with a back injury, and after private sessions, and continued practice, I am now completely pain-free. Pilates changed my relationship with my body, and got me back to all my favourite activities better than ever. By slowing down, and focusing on alignment and technique, we can activate muscles, and create stability. I love to help students find body awareness, mobility, and that muscle burn, so they leave feeling their finest. Emily is in the studio Mondays and Wednesdays. I am a yoga teacher-turned-pilates enthusiast with a background in Kinesiology and Human Nutrition - a true textbook nerd when it comes to movement and biomechanics. I have witnessed firsthand the extraordinary ability of Pilates to rehabilitate injuries and rebalance the body. I am a big believer in fostering the mind-muscle-body connection through precise alignment in order to reap the benefits of each exercise. My goal is to help students increase their body awareness and to arm them with tools in order to steer themselves back to their finest selves. I found Pilates the way many have: in search of relief from pain. A car accident back in 2012 left me with significant chronic pain in my upper back and shoulder. After years of searching and trying every form of physical rehabilitation that I could find, I finally came across Pilates. Immediately after that first class, I felt relief from my pain for the first time in years. I am forever changed by that experience. Since then, I’ve committed my days to learning more about Pilates and the biomechanics of my own body. Now, as a certified mat and reformer teacher, I’m determined to help others find relief like I did. I take the ‘Always be Learning’ approach to movement – you can find me in the classroom regularly, taking courses and keeping humble as a student! Whether you’re also rehabbing from injuries, or looking to ‘turn back the clock’ on your body and feel strong again, I can help. My sessions are organic, collaborative, and even a little playful. Let’s explore and find what works for you, so that you too, can feel your finest! Catch me in the studios on Tuesday nights!